"My dear cousins, Carol and Cindy...Uncle Zip was such a..."
"So sorry to see of your Dad's passing. Many thoughts are..."
"I will miss Roland's wit and smile. He will be greatly..."
"To the family of Roland, Roland was a real gentleman who..."
"So sorry for your loss. 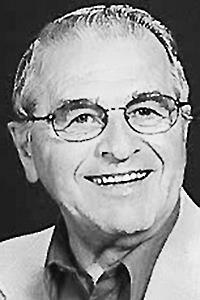 Our prayers and sympathy coming..."
WINSLOW - Roland C. Lessard, 91 of Winslow, passed away on Aug. 5, 2018 at Oak Grove Center, Waterville, after a brief illness. He was born in Waterville on Dec. 11, 1926, the son of Odilon and Alexina (Doyon) Lessard and lived in the Waterville-Winslow area all of his life. Roland was a graduated of Winslow High School Class of 1944. He was employed at Scott Paper Company for 15 years and then employed by Central Maine Power Company for over 30 years, retiring in 1989. Roland served in the U. S. Navy during World War II as a Radioman 3rd class, serving in the Pacific Area. He was a member of Bourque-Lannigan Post 5, American Legion, Waterville and Veterans of Foreign Wars, Post 8835, Winslow. He was predeceased by his father, Odilon; mother, Alexina; sister, Olivette; and a son, Jeffrey. Roland is survived by two daughters, Cynthia Lessard of New Jersey, and Carol A. Gaedtke and husband, Larry, of New Hampshire; two grandchildren, Christopher D. Biron and wife, Melissa, and Jamison D. Biron of New Hampshire; great-grandson, Maddox; my father's best friend and companion, Rose Manzo of Winslow. Family and friends may visit from 2-5 p.m. on Friday, Aug. 10, 2018, and at 3 p.m., the Bourque-Lannigan American Legion Post 5 will be holding the American Legion Memorial Service at Gallant Funeral Home, 10 Elm Street, Waterville. A Mass of Christian Burial will be celebrated at 11 a.m. Saturday, Aug. 11 at St. John the Baptist Church, 26 Monument St., Winslow. Burial will be at a later date in St. Francis Catholic Cemetery. An online guestbook may be signed, memories shared and condolences expressed at www.gallantfh.com.